Earlier I mentioned that I went from commuting 35 miles (70 round trip) a day, to bicycling 2.5 miles (5 round trip) a day. The change has been amazing. I am less tense, more fit and less cranky. Exercising every weekday has been very good to me. Just as a heads up, I'm not some macho guy who can immediately do anything. I had to work my way up to commuting by bike 5 days a week and bum rides when I'm sick enough to work. It took about a month or so to work up biking 5 days a week. Not me! I wear no spandex! I breathe fresh air for 30-40 minutes a day. My bike is a cruiser so my average speed is probably 10-15mph, unlike the speed demons on road bikes. Garbage cans are positioned by Satan. Seriously. Some people make it so I have to cut into the road cause they had to put the can between the road line and where the sidewalk should be. Don't be that guy. I'm learning how to bike more safely. 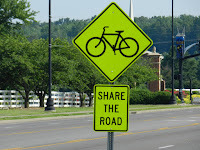 Right now I slow down at stop signs and make sure no one is around before proceeding (really, this is more of a yield). I have been bad lately and need to more consistently downshift so if someone is there but unexpectedly crossing my path, I can stop in time. Where I work, they let me take my bike inside. Otherwise I would rely on my U lock. People either admire me or think I'm bonkers but pretend to admire me. 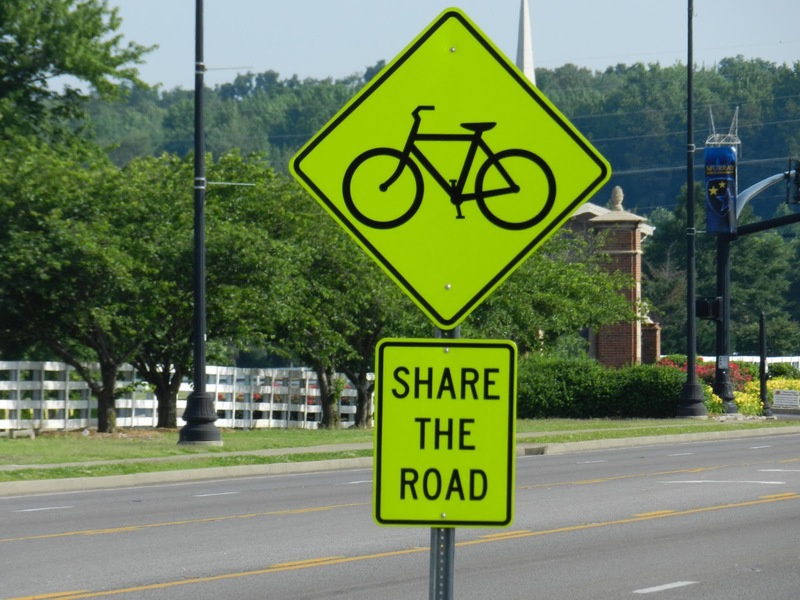 Bicyclists need to be careful too!